HAPPY NEW YEAR to my beautiful GLOW Women! We are going to have our first GLOW Women's breakfast of the year at our usual place, Cracker Barrel in Seffner (6150 Lazy Days Blvd, Seffner, FL 33584) this month instead of having our usual 2nd Tuesday meeting of the month. Notice I changed the time from our usual 11 a.m. breakfast time to 10:00 a.m. because some may want to also be able to go to Desiree's daughter, Demethia's (sorry if I spelled this wrong) baby shower. Also, just to let you all know, I am requesting prayer for me as I make decisions and determine events for our ministry as well as praying for more to get involved in our ministry. We may not realize just how much we need each other as women, but I believe in this ministry we help empower, encourage and strengthen one another. We have a lot of fun and laughter, which is much needed. 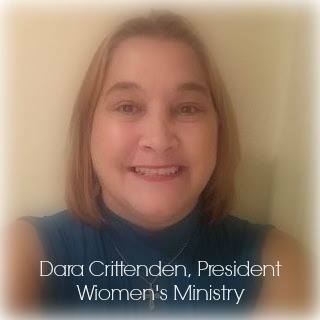 Many ideas and thoughts of things I'd like to do flood my mind, but I don't want to do what Dara wants to do, I only want to do what GOD would have me to do as leader over this ministry. This ministry and each of you are in my prayers as well and I can never express how much I care about the ministry and all of you. I am thankful for those of you who are faithful to the ministry and I understand there are many that just can't make it to all events and meetings, but I do pray that we will see new faces and meet new people within our church and possibly outside the church this year. P.S. I want to remind you that I still have the GLOW Women's ministry t-shirts for sale at $12 each (see me if you'd like to get one). This is a fundraiser for our ministry. I will try to remember sometime this week to look at each size I have left and send that out in an email and also post it on the Clair Mel Assembly Women's Ministry Facebook page. By the way, if you have not "liked" the Clair Mel Assembly Women's page on Facebook, please go on there and do so and keep up with what is going on in the ministry. Come expecting a fun filled, blessed and inspirational night! Bring your favorite appetizer and/or dessert!